Total cash investments among the major participants in the CME Group of derivatives trading for the euro increased by less than 1%. At the same time, the total capitalization of investments in dollars amounted to $ 160 billion 315 million. The prevalence of bears decreased by 70%. In monetary terms, the sellers overweight sentiment amounted to $ 1 billion 306 million. According to the United States Commodity Futures Trading Commission, the number of investors’ locked positions decreased by 1%. Cash deposits in EUR / USD among SMART MONEY are as follows: 50% of buyers and 50% of sellers. The first long-term goal of increasing on the daily timeframe is the monthly level of the market maker’s balance (1.1415). In the event of a breakdown and consolidation above the indicated option resistance level, we can expect a likely increase to the strike of the hedger support zone (1.1466). The closest key support area for trading inside the option month is the premium level of the monthly hedger support area, which is at a quotation of 1.1269. In the event of a breakdown and consolidation below the option level in question, the next long-term goal of the decline is the monthly level of market maker support (1.1192). The addition of long-term options for growth with a total volume of over $ 164 million further enhances the monthly support of the market maker. 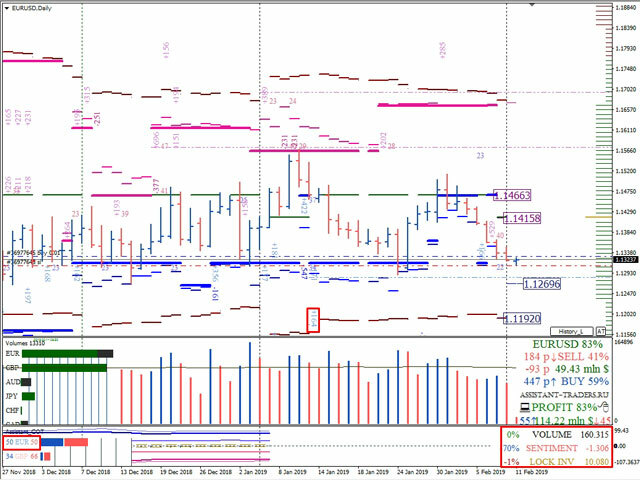 The key area of ​​support for the first working day of the current week is the zone of 2% of sellers (1.1313-1.1308). 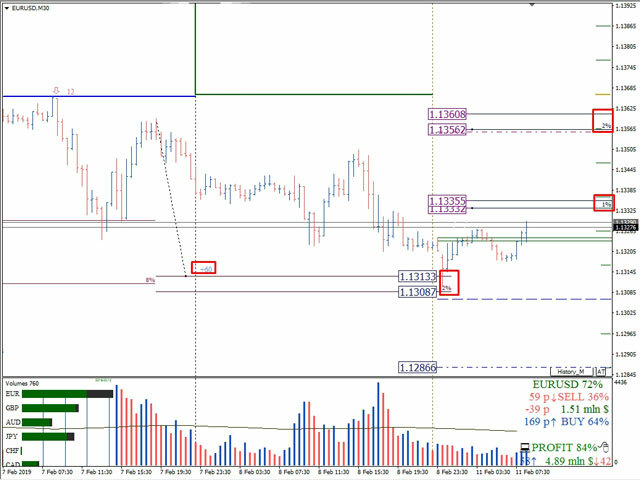 In case of a breakdown of the zone of 2% of sellers, a decline to the level of limit buyers (1.1286) is expected. The closest resistance level on Monday, February 11, is the zone of 1% of buyers, which is located at price marks 1.1333-1.1335. In the event of a breakdown and consolidation of the resistance under consideration during the European and / or American session of the current working day, we can expect an increase to the next growth target within the working week to 2% of sellers (1.1356-1.1360). The location of the limit sellers (1.1355) near the 2% zone of buyers further enhances it.